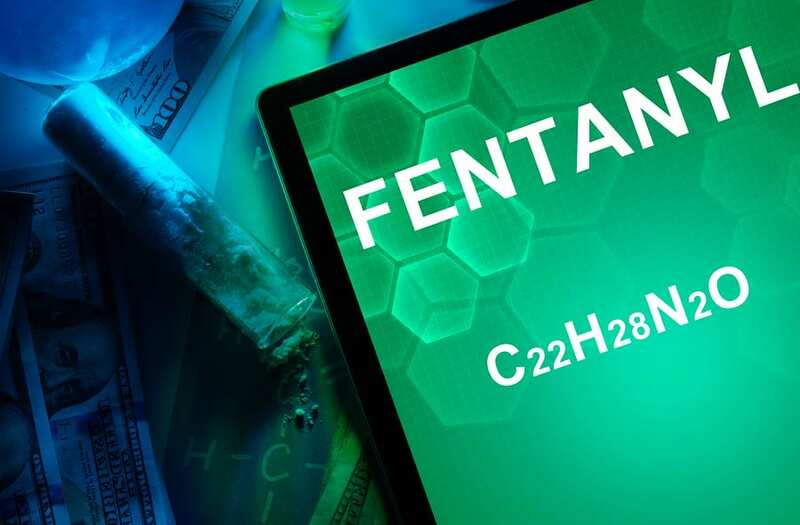 With the opioid crisis becoming more serious every year in the U.S. it is crucial to be aware of drugs like fentanyl which are causing majors issues with addiction and overdose. Fentanyl is a highly potent and very addictive opioid that is often taken by itself or combined with cocaine. It is actually the most powerful opioid in medicine and can quickly lead to overdose for people that have not developed a tolerance. The fentanyl that is provided by a hospital or a prescription is often different than the type that can be bought on the street. Most of the fentanyl that is found on the streets is actually sourced from China and Mexico. Many people who buy the drug have no idea it is fentanyl and believe it to be some other type of narcotic. Even when fentanyl is legally prescribed for pain management, it can lead to a lot of physical reactions and side effects that can be problematic for users. It is so powerful that it can lead to feelings of weakness, slowed respiration, decreased heart rate, confusion, difficulty concentrating and even unconsciousness. People who are following a doctor’s recommendations and taking a certain dose of fentanyl can experience these kinds of side effects but they can be much worse for someone who is taking them on the street. Opioid addiction in general has led to more deaths in recent years but fentanyl overdose in particular are experiencing a dramatic increase. Death rates from synthetic opioids like fentanyl increased more than 72 percent between 2014 and 2015. In states like Georgia fentanyl alone caused 400 deaths within a 4 year period. Fentanyl is not just like every other opioid because it is much more powerful and dangerous. It is 50 times more potent than heroin, so even just a small amount can be enough to cause someone to overdose if they are not tolerant to opioids. If the drug is accidentally inhaled or absorbed through the skin it can lead to negative reactions such as dizziness, shortness of breath and slowed heart rate. Although typically opioids come in the form of a pill, fentanyl used in a hospital setting can also be injected put in a patch to be absorbed into the body or given as a lozenge or lollipop. When fentanyl is sold illegally it is also made into a powder or a piece of blotter paper held under the tongue in addition to the usual pill form. Fentanyl in powder form is often laced into cocaine and sold to people on the street as a “speedball”. Most of the issues with fentanyl are taking place in areas of the east coast and the south in about 10 states. States like Ohio, Massachusetts and Pennsylvania have the highest rates of fentanyl seizures. Ohio had a five fold increase of fentanyl-related opioid deaths within just one year when overdoses increased from 92 to 514 deaths. In states like Maryland, the fentanyl overdose death rate more than doubled as well. If someone is overdosing on fentanyl, it is possible to use the medication known as naloxone to help reverse the effects. However, fentanyl is so potent that it may require more than one dose of naloxone to help keep someone alive during an overdose. It is important to be able to recognize when someone is overdosing on fentanyl so that you will know to call 911 or administer naloxone. People overdosing on fentanyl often have small pupils, weak muscles, a bluish tint to nails and lips, sleepiness, dizziness, confusion and a slower heart rate. Although fentanyl is most commonly cut with heroin or laced into cocaine, there are many other drugs that it is cut with on the street. It is often combined with methamphetamines, oxycodone, and Xanax so that users get a different kind of high and become addicted. People might not recognize that something is fentanyl if they are not familiar with the various street names that the drug is given. It has been called names like Apache, China Girl, Dance Fever, Friend, Goodfella, Jackpot, Murder 8 and a number of other nicknames. Because fentanyl is often cut into other drugs without the buyer’s knowledge, many overdoses occur because the user has no idea that they are consuming a powerful opioid. It is important for people to educate themselves on fentanyl in order to prevent a fatal overdose.